Fr. Bob Zilliox talks with CBS News Sunday. There is more reaction coming from the Buffalo Catholic Diocese about clergy sexual abuse, which is denying statements made over the last few days that "eight or nine priests" accused of sexual abuse are still in active ministry. This comes as another accused priest has been put on administrative leave. The "60 Minutes" story that aired Sunday on the topic included an interview with Fr. Bob Zilliox, who left his position as counsel to Bishop Richard Malone in May to concentrate on his parish. Zilliox told "60 Minutes" that he would argue "at least eight or nine priests" remain active at Buffalo diocese churches, despite having credible child sexual abuse allegations against them. "All the guys that should have been removed from the priesthood are still priests," Zilliox told "60 Minutes." "It's beyond troubling." The claim was reiterated Tuesday at a press conference held by attorney Mitchell Garabedian, who has been defending survivors of priest sexual abuse. In a statement, the Diocese said since Sunday, it has been fielding phone calls from people concerned about the claim. "We share this concern since we are not aware of any priests in active ministry who have allegations against them," the statement said. "We continue to uphold the Charter for the Protection of Children and Young People and take every claim of suspected abuse seriously acting upon it immediately." The diocese asked that "those who made these claims or anyone who has a claim of a priest still actively working in our Diocese" to contact its Victims Assistance Coordinator, Jackie Joy, "so that appropriate actions can be taken, including immediately removing them from ministry." The diocese also repeated that it is fully cooperating with all legal investigations. Fr. Michael Juran is the latest priest in the Buffalo Catholic Diocese to be put on administrative leave after an accusation of abuse. "Given that the Diocese of Buffalo allows the cover up of predator priests sexually abusing children and accordingly places children at risk, any statement by the Diocese should be viewed with great doubt and concern," said Garabedian. "It is time for the leadership of the Diocese of Buffalo to resign." This as the diocese placed another priest on administrative leave amid an investigation into alleged clergy sexual misconduct. Diocesan officials said on its website dated Oct. 31 - the same day it issued the statement about Zilliox and others - that it has placed Fr. Michael Juran on leave after receiving an abuse complaint. 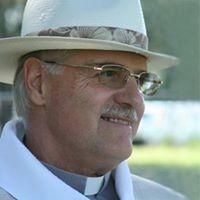 Juran is the 16th Buffalo diocese priest to be suspended. There are at least 80 members of the clergy who have been publicly accused of misconduct. This latest back-and-forth comes as an organization of "concerned lay Catholics" plan to announce the creation of an initiative "to rebuild trust and confidence in the Church" in Buffalo. The group has been formed to "assert the laity's role in the Church" and plans a series of moves in the wake of the priest sexual abuse scandal. The group meets Thursday at 10 a.m. in the Science Hall Commons on the Canisius College Main Street campus. Meanwhile, a Catholic bishop in New York City has stepped down from public ministry after being accused of sexual abuse. Cardinal Timothy Dolan released a statement Wednesday saying a decades-old allegation lodged against auxiliary Bishop John Jenik, of Our Lady of Refuge in the Bronx, was deemed "credible and substantiated." The New York Times reports the allegations involved inappropriate behavior with a teenage boy in the 1980s. Jenik denied that he "ever abused anyone at any time." In an Oct. 29 letter to parishioners, he wrote that he is asking the Vatican to review the matter and ultimately prove his innocence. The Associated Press contributed to this story. The woman who formerly worked as the executive assistant to Roman Catholic Bishop Richard Malone stood on a sidewalk across the street from her former workplace Tuesday morning, explaining her decision to secretly share private diocesan documents regarding clergy linked to alleged sexual misconduct. It was Siobhan O'Connor's first local appearance since her story aired on national news programs including CBS's 60 Minutes. Bishop Richard Malone is responding with vigor to the news conference held by whistleblower Siobhan O'Connor, who released diocesan documents to authorities and the media about the handling of sexual abuse victims. Despite repeated calls that he resign, Buffalo Bishop Richard Malone appears ready to ride out the building crisis regarding the sexual abuse of minors at the hands of clergy members. However, pressure will surely mount following Sunday night's explosive "60 Minutes" story, which heard from a key whistleblower who said the Diocese has been more focused on covering up the allegations than helping victims. The Catholic Diocese of Buffalo will be in the national spotlight Sunday night when the CBS news program "60 Minutes" airs a segment on the response to the clergy abuse scandal here. Days after a local Catholic priest admitted to the Buffalo News he had sexual encounters with dozens of teenage boys, the Diocese of Buffalo has announced a compensation program for victims of sexual abuse.